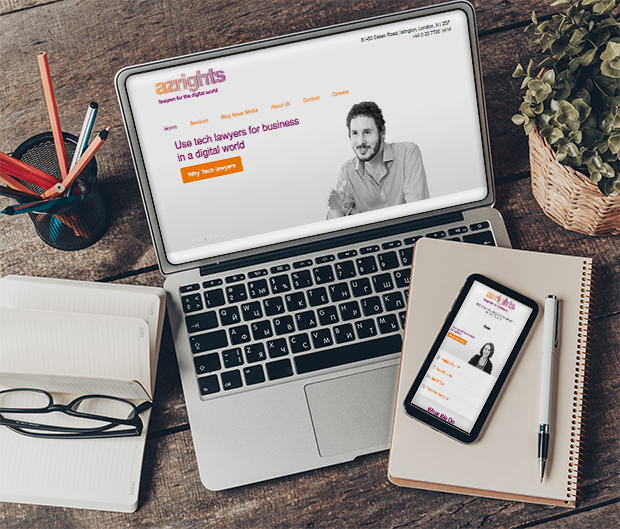 Azrights is a niche law firm that advises on the A to Z of intellectual property (IP) rights and tech law – hence the name. Their services cover every area of IP (copyright, trademarks, patents, designs) starting with identifying names you can use for your business to advising on copyright relating to your website and products. Azrights commissioned Hartley & Soul to refresh their brand to reflect the rise of digital companies. The new brand had to capture the digital essence and Azrights core values, which are clarity, simplicity and ease.